*NO FEE*5/1 Move In*Perfect 2 Way Share*Gut Reno*1 Block to Union Sq!! *NO FEE*Available 5/1, Gut renovation. This apartment is the perfect share apartment in arguably the best neighborhood in the city. 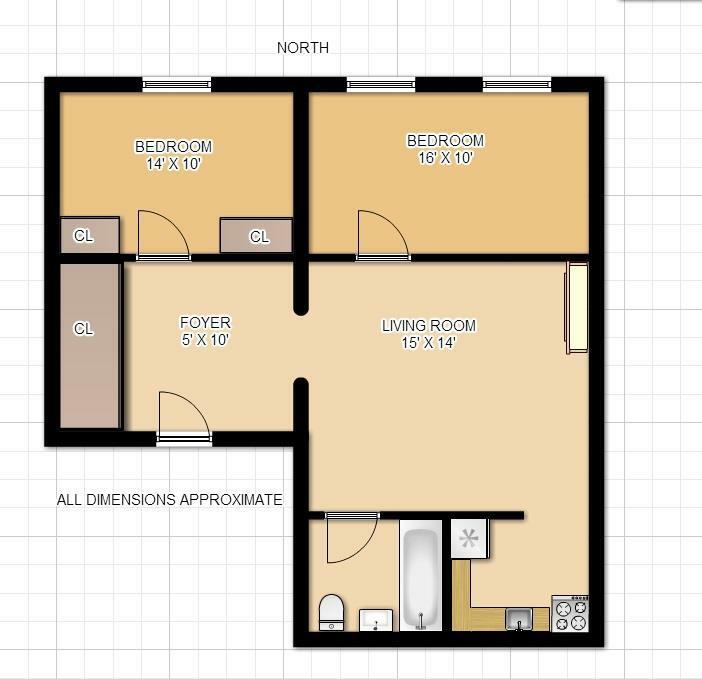 This unit is a large one bedroom that was converted to two bedroom with a pressurized wall. The wall will stay up. The photos in this ad are the finished product of a similar unit in the building. The renoavations will be of the same quality with Stone Kitchen Counters, new appliances, Floors will be sanded and refinished beautifully, bathroom is a tasteful stone tile. The bedrooms are of equal size. There are 4 oversized closets. There is also a decorative fireplace. Unique Opportunity to Live in This Owner Occupied 8 unit Townhouse. Trains within 2 or 3 blocks include the 1,2,3,4,5,6,F,L,M,N,Q,R,A,C, E.Please note: Tenant pays ALL utilities. Located 1 block to Union Square Park, shopping, dinning, Whole Foods, Movie Theater, and all transportation. No Pets.